Nearly 120,000 people have been displaced after floods submerged a vast swathe of southeastern Myanmar, killing 11 people and sending panicked residents fleeing for dry ground with children perched on their shoulders and few belongings in tow. An official told AFP Tuesday over 118,000 people have taken refuge in 285 camps so far, as the toll climbed to 11 dead—including three solders—with more deaths feared. Swirling, muddy waters reached thatched-roofed homes and wiped out farmland in four provinces as officials scrambled to set up rescue centres amid continued torrential rains on Tuesday. 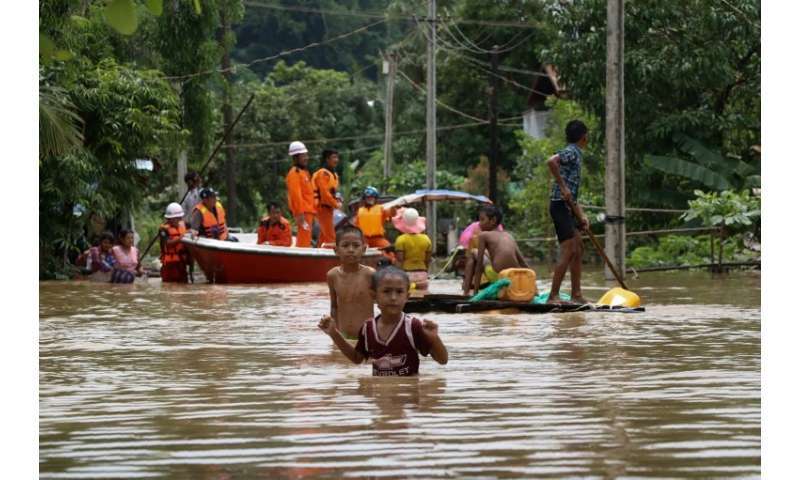 Rescuers in boats tried to pluck people from floodwaters in Hpa-an in Karen state while other residents tried to escape by any means possible, balancing on makeshift rafts or wading out carrying children and plastic bags of goods. "There could be a few more casualties but we are still collecting the information," Social Welfare Ministry Director Phyu Lei Lei Tun said. "Water is going down in some places. But we do not know how long the disaster will last." Meanwhile five others were confirmed killed in a landslide triggered by heavy rains in Kawthaung township in Myanmar's southern tip. Evacuation orders are still in place for many flood-stricken areas with a number of rivers exceeding danger levels by several feet and 36 dams and reservoirs overflowing, state-backed Global New Light of Myanmar newspaper reported. 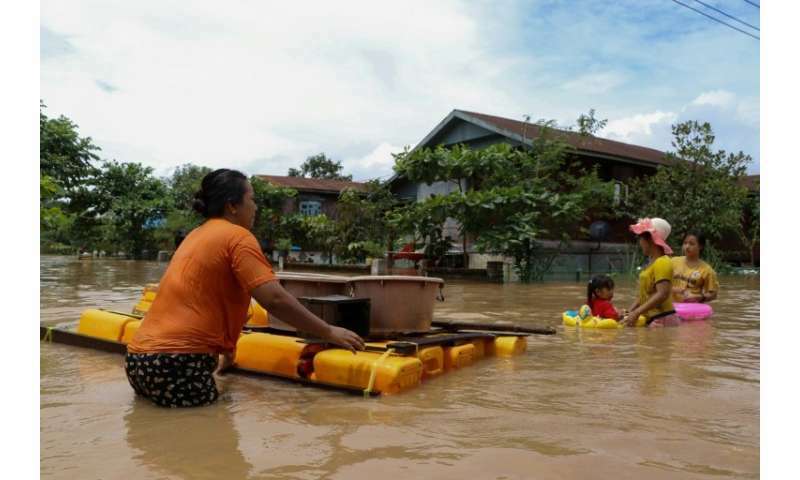 The Mekong region has been battered by particularly heavy monsoon rains this year, causing devastating floods that have forced thousands to flee and wiped out homes and farmland. Heavy rains caused a massive dam in southern Laos to collapse last week, wiping out entire villages and killing at least 11—though earlier official tolls initially put the number as high as 27. Floodwaters from that catastrophe seeped into Cambodia and forced thousands from their homes. Rescuers are still searching for survivors in southern Laos more than a week after the dam collapse, with Thai, South Korean and Chinese specialists joining efforts to find scores still missing.